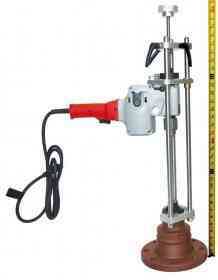 Others have copied this machine with claims that it can perform 5" and 6" hot taps. From our 37+ years of development and field experience, performing 5" and 6" taps are possible, but the liabilities of injury, lost coupons, and costly problems do not allow us to offer this. 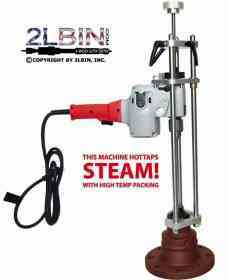 2LBin is committed to only professional, safe, and dependable tools. If you are still set on buying those 6" versions, we suggest you ask for a written guarantee from the manufacturer that they stand behind the use of these on 6" taps.